Anyway, I digress (as usual; it’s the coffee talkin’). Caramelized Onion Tart – Is for sure, one of my all time favorites. In fact, when my Chicago cousins visited, I made it and they were like “OMG! Janny, who knew you were so talented!!! 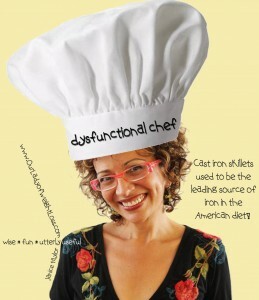 You’re not as dysfunctional in the kitchen as you think you are!” To which I replied, “Oh no, I am. Nothing complicated about this recipe and note the crust is already done, prepared, exists without any help from me!! !” I proudly wear the “Dysfunctional” label. Ha, ha, ha! Already smiling and in a good mood, we divved up the tart into 4 portions, which through my calculations off (this recipe is for 6 people, but at 250 approx. calories per slice, whatever…close enough! and not so bad for lunch with a salad), we dug in! FYI, I’m not usually so loosy-goosey around counting calories, but I baked this up, cooked this up, created this recipe and it was and remains divine! Meanwhile, heat oil and margarine in a large skillet over medium-high heat; sauté onions until they begin to turn golden. Then toss in whole garlic cloves and continue to sauté. Add pepper, egg whites and sour cream to onions, mixing well. For more recipes that delite the soul, as well as platters full of weight loss motivation, visit Our Lady’s club: Facebook/Kick in the Tush Club!